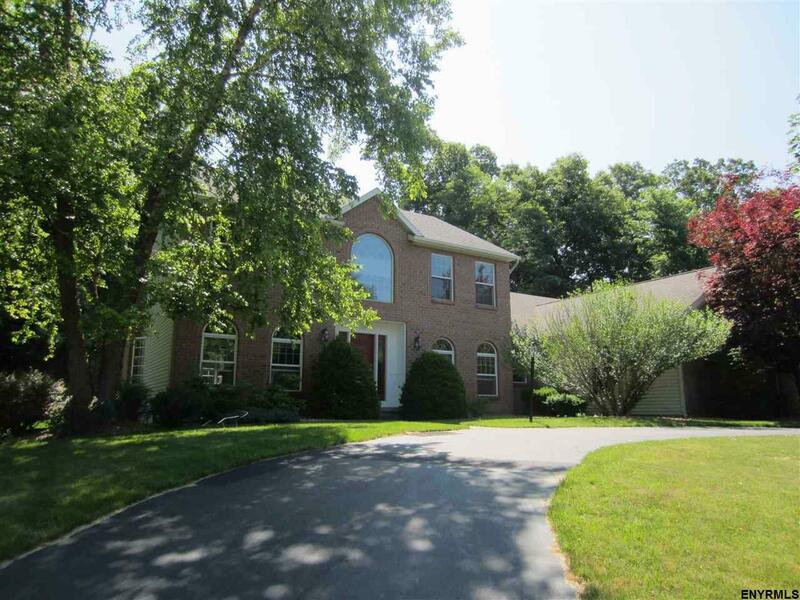 Elegant and light Niskayuna Brick & Cedar Colonial. Huge, open granite and stainless kitchen, Soaring great room with floor to ceiling stone fireplace. First floor master. Huge finished basement. Style and quality construction. Warranties in place. Extra storage. Family neighborhood 1/2 way to Latham & GE. Arched & tall windows, marble entry, hardwoods, tile, crown moldings, central vac, private terraced garden, in-ground sprinklers, and large deck. Circular drive. See docs for temporary brochure.